Privatization (also spelled privatisation) can mean different things including moving something from the public sector into the private sector. It is also sometimes used as a synonym for deregulation when a heavily regulated private company or industry becomes less regulated. Government functions and services may also be privatized; in this case, private entities are tasked with the implementation of government programs or performance of government services that had previously been the purview of state-run agencies. Some examples include revenue collection, law enforcement, and prison management. Another definition is the purchase of all outstanding shares of a publicly traded company by private investors, or the sale of a state-owned enterprise or municipally owned corporation to private investors. In the case of a for-profit company, the shares are then no longer traded at a stock exchange, as the company became private through private equity; in the case the partial or full sale of a state-owned enterprise or municipally owned corporation to private owners shares may be traded in the public market for the first time, or for the first time since an enterprise's previous nationalization. The second such type of privatization is the demutualization of a mutual organization, cooperative, or public-private partnership in order to form a joint-stock company. The word privatization may mean different things depending on the context in which it is used. It can mean moving something from the public sphere into the private sphere, but it may also be used to describe something that was always private, but heavily regulated, which becomes less regulated through a process of deregulation. The term may also be used descriptively for something that has always been private, but could be public in other jurisdictions. There are also private entities that may perform public functions. These entities could also be described as privatized. Privatization may mean the government sells state-owned businesses to private interests, but it may also be discussed in the context of the privatization of services or government functions, where private entities are tasked with the implementation of government programs or performance of government services. Gillian E. Metzger has written that: "Private entities [in the US] provide a vast array of social services for the government; administer core aspects of government programs; and perform tasks that appear quintessentially governmental, such as promulgating standards or regulating third-party activities." Metzger mentions an expansion of privatization that includes health and welfare programs, public education, and prisons. 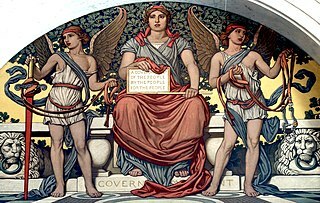 The history of privatization dates from Ancient Greece, when governments contracted out almost everything to the private sector. In the Roman Republic private individuals and companies performed the majority of services including tax collection (tax farming), army supplies (military contractors), religious sacrifices and construction. However, the Roman Empire also created state-owned enterprises—for example, much of the grain was eventually produced on estates owned by the Emperor. Some scholars[who?] suggest that the cost of bureaucracy was one of the reasons for the fall of the Roman Empire. In Britain, the privatization of common lands is referred to as enclosure (in Scotland as the Lowland Clearances and the Highland Clearances). Significant privatizations of this nature occurred from 1760 to 1820, preceding the industrial revolution in that country. Great Britain privatized its steel industry in the 1950s, and the West German government embarked on large-scale privatization, including sale of the majority stake in Volkswagen to small investors in public share offerings in 1961. However, it was in the 1980s under Margaret Thatcher in the United Kingdom and Ronald Reagan in the United States that privatization gained worldwide momentum. Notable privatization attempts in the UK included privatization of Britoil (1982), Amersham International PLC (1982), British Telecom (1984), Sealink ferries (1984), British Petroleum (gradually privatized between 1979 and 1987), British Aerospace (1985 to 1987), British Gas (1986), Rolls-Royce (1987), Rover Group (formerly British Leyland, 1988), British Steel Corporation (1988), and the regional water authorities (mostly in 1989). After 1979, council house tenants in the UK were given the right to buy their homes (at a heavily discounted rate). One million purchased their residences by 1986. Such efforts culminated in 1993 when British Rail was privatized under Thatcher's successor, John Major. British Rail had been formed by prior nationalization of private rail companies. The privatization was controversial, and the its impact is still debated today, as doubling of passenger numbers and investment was balanced by an increase in rail subsidy. Privatization in Latin America flourished in the 1980s and 1990s as a result of a Western liberal economic policy. Companies providing public services such as water management, transportation, and telecommunication were rapidly sold off to the private sector. In the 1990s, privatization revenue from 18 Latin American countries totaled 6% of gross domestic product. Private investment in infrastructure from 1990 and 2001 reached $360.5 billion, $150 billion more than in the next emerging economy. Ongoing privatization of Japan Post relates to that of the national postal service and one of the largest banks in the world. After years of debate, the privatization of Japan Post spearheaded by Junichiro Koizumi finally started in 2007. The privatization process is expected[by whom?] to last until 2017. Japan Post was one of the nation's largest employers, as one-third of Japanese state employees worked for it. It was also said to be the largest holder of personal savings in the world. Criticisms against Japan Post were that it served as a channel of corruption and was inefficient. In September 2003, Koizumi's cabinet proposed splitting Japan Post into four separate companies: a bank, an insurance company, a postal service company, and a fourth company to handle the post offices and retail storefronts of the other three. Nippon Telegraph and Telephone's privatization in 1987 involved the largest share offering in financial history at the time. 15 of the world's 20 largest public share offerings have been privatizations of telecoms. In 1988, the perestroika policy of Mikhail Gorbachev started allowing privatization of the centrally planned economy. Large privatization of the Soviet economy occurred over the next few years as the country dissolved. Other Eastern Bloc countries followed suit after the Revolutions of 1989 introduced non-communist governments. Egypt undertook widespread privatization under Hosni Mubarak. He was later overthrown in the 2011 revolution, the public called for re-nationalization as the privatized firms were accused of practicing crony capitalism with the old regime. In the United States, under the Medicare managed care the government pays a managed care organization (MCO) a fixed amount called the "capitated rate" for all medical services received by a beneficiary in a given period. Enrollment in the programs has increased substantially since 1990; in 2002 60% of Medicaid beneficiaries and 12% of Medicare beneficiaries were being treated by MCOs. Private sector involvement in Medicare and Medicaid is not limited to MCOs; private doctors, hospitals, nursing homes provide medical care; reimbursement claims are processed by private intermediaries; and peer review organizations, utilization review committees and accreditation organizations like JCAHO are staffed by private medical personnel. Homeless shelters and food banks are run by private organizations, who also provide treatment services, operate Head Start programs and work with child welfare agencies. Privatization of welfare system expanded in 1996, when the Aid to Families with Dependent Child (AFDC) program was replaced with the Temporary Aid to Needy Families (TANF) program. Welfare services that are often privatized include workforce development, job training and job placement are often privatized. There is also some private sector involvement in the public education system including charter schools, Educational Management Organizations (EMOs), and school voucher programs. EMOs are usually for-profit and manage charter schools and sometimes traditional public schools as well. The United States Supreme Court upheld school voucher programs against an Establishment Clause challenge in Zelman v. Simmons-Harris. In the US in 2001, private prison facilities housed 12.3% of all federal prisoners and 5.8% of state prisoners. Contracts for these private prisons regulate prison conditions and operation, but the nature of running a prison requires a substantial exercise of discretion. Private prisons are more exposed to liability than state run prisons. Both for-profit and non-profit entities are tasked with various responsibilities related to the US foreign aid budget such as providing emergency humanitarian relief, development assistance, as well as post-conflict reconstruction efforts. Similarly, private entities have started to perform tasks that have traditionally been regarded as falling within the government's diplomatic and military authority like participating in peace negotiations, military training, intelligence gathering and other security services or combat-related missions. Many of the military interrogators at Abu Ghraib prison were provided by a private contractor and lacked formal military training; this was subsequently identified as a contributing factor to detainee abuse at the prison by the Fay report. The United Nations uses private subcontractors as well, and in some cases, "failed states" have relied on private entities extensively for a range of tasks including building critical infrastructure, managing social services programs and using private military companies during the course of armed conflicts. Adequately guarding against abuse of public power requires application of constitutional principles to every exercise of state authority, regardless of the formal public or private status of the actor involved: 'It surely cannot be that government, state or federal, is able to evade the most solemn obligations imposed in the Constitution by simply resorting to the corporate form' and thereby transferring operation of government programs to private hands"
Even if private actors can't be held accountable through the traditional constitutional mechanism, they may be bound by other regulatory or contractual requirements. Tort law might be another avenue of protection, and some may argue that this protection could be even more effective as public agencies and employees usually enjoy some degree of immunity from civil liability. The choice of sale method is influenced by the capital market and the political and firm-specific factors. Privatization through the stock market is more likely to be the method used when there is an established capital market capable of absorbing the shares. A market with high liquidity can facilitate the privatization. If the capital markets are insufficiently developed, however, it would be difficult to find enough buyers. The shares may have to be underpriced, and the sales may not raise as much capital as would be justified by the fair value of the company being privatized. Many governments, therefore, elect for listings in more sophisticated markets, for example, Euronext, and the London, New York and Hong Kong stock exchanges. In one study assimilating some of the literature on "privatization" that occurred in Russian and Czech Republic transition economies, the authors identified three methods of privatization: "privatization by sale", "mass privatization", and "mixed privatization". Their calculations showed that "mass privatization" was the most effective method. However, in economies "characterized by shortages" and maintained by the state bureaucracy, wealth was accumulated and concentrated by "gray/black market" operators. Privatizing industries by sale to these individuals did not mean a transition to "effective private sector owners [of former] state assets". Rather than mainly participating in a market economy, these individuals could prefer elevating their personal status or prefer accumulating political power. Instead, outside foreign investment led to the efficient conduct of former state assets in the private sector and market economy. Through privatization by direct asset sale or the stock market, bidders compete to offer higher prices, generating more revenue for the state. Voucher privatization, on the other hand, could represent a genuine transfer of assets to the general population, creating a sense of participation and inclusion. A market could be created if the government permits transfer of vouchers among voucher holders. Literature reviews find that in competitive industries with well-informed consumers, privatization consistently improves efficiency. The more competitive the industry, the greater the improvement in output, profitability, and efficiency. Such efficiency gains mean a one-off increase in GDP, but through improved incentives to innovate and reduce costs also tend to raise the rate of economic growth. Although typically there are many costs associated with these efficiency gains, many economists argue that these can be dealt with by appropriate government support through redistribution and perhaps retraining. Yet, some empirical literature suggests that privatization could also have very modest effects on efficiency and quite regressive distributive impact. In the first attempt at a social welfare analysis of the British privatization program under the Conservative governments of Margaret Thatcher and John Major during the 1980s and 1990s, Massimo Florio points to the absence of any productivity shock resulting strictly from ownership change. Instead, the impact on the previously nationalized companies of the UK productivity leap under the Conservatives varied in different industries. In some cases, it occurred prior to privatization, and in other cases, it occurred upon privatization or several years afterward. A study by the European Commission found that the UK rail network (which was privatized from 1994–97) was most improved out of all the 27 EU nations from 1997–2012. The report examined a range of 14 different factors and the UK came top in four of the factors, second and third in another two and fourth in three, coming top overall. Privatizations in Russia and Latin America were accompanied by large-scale corruption during the sale of the state-owned companies. Those with political connections unfairly gained large wealth, which has discredited privatization in these regions. While media have widely reported the grand corruption that accompanied those sales, studies have argued that in addition to increased operating efficiency, daily petty corruption is, or would be, larger without privatization, and that corruption is more prevalent in non-privatized sectors. Furthermore, there is evidence to suggest that extralegal and unofficial activities are more prevalent in countries that privatized less. A 2009 study published in The Lancet medical journal initially claimed to have found that as many as a million working men died as a result of economic shocks associated with mass privatization in the former Soviet Union and in Eastern Europe during the 1990s, although a further study revealed that there were errors in their method and "correlations reported in the original article are simply not robust." Historian Walter Scheidel, a specialist in ancient history, posits that economic inequality and wealth concentration in the top percentile "had been made possible by the transfer of state assets to private owners." In Latin America, there is a discrepancy between the economic efficiency of privatization and the political/social ramifications that occur. On the one hand, economic indicators, including firm profitability, productivity, and growth, project positive microeconomic results. On the other hand, however, these results have largely been met with a negative criticism and citizen coalitions. This neoliberal criticism highlights the ongoing conflict between varying visions of economic development. Karl Polanyi emphasizes the societal concerns of self-regulating markets through a concept known as a "double movement". In essence, whenever societies move towards increasingly unrestrained, free-market rule, a natural and inevitable societal correction emerges to undermine the contradictions of capitalism. This was the case in the 2000 Cochabamba protests. In Australia a "People's Inquiry into Privatisation" (2016/17) found that the impact of privatisation on communities was negative. The report from the inquiry "Taking Back Control" https://d3n8a8pro7vhmx.cloudfront.net/cpsu/pages/1573/attachments/original/1508714447/Taking_Back_Control_FINAL.pdf?1508714447 made a range of recommendations to provide accountability and transparency in the process. The report highlighted privatisation in healthcare, aged care, child care, social services, government departments, electricity, prisons and vocational education featuring the voices of workers, community members and academics. ^ "Musselburgh Co-op in crisis as privatization bid fails". Co-operative News. 2005-11-01. Retrieved 2008-05-21. ^ Edwards, Ruth Dudley (1995). The Pursuit of Reason: The Economist 1843–1993. Harvard Business School Press. p. 946. ISBN 978-0-87584-608-8. ^ Compare Bel, Germà (2006). "Retrospectives: The Coining of 'Privatisation' and Germany's National Socialist Party". Journal of Economic Perspectives. 20 (3): 187–94. CiteSeerX 10.1.1.694.2842. doi:10.1257/jep.20.3.187. ^ Kämmerer, Jörn Axel (2001). Privatisierung: Typologie – Determinanten – Rechtspraxis – Folgen. Mohr Siebeck Verlag. p. 7. ISBN 978-3-16-147515-3. ^ Beerman, Jack (2001-01-01). "Privatization and Political Accountability". Fordham Urban Law Journal. 28 (5): 1507. ^ a b c d e f g Metzger, Gillian (2003-01-01). "Privatization as Delegation". Colum. L. Rev. : 1367. ^ Bel, Germà (2010-02-01). "Against the mainstream: Nazi privatization in 1930s Germany1". The Economic History Review. 63 (1): 34–55. doi:10.1111/j.1468-0289.2009.00473.x. hdl:2445/11716. ISSN 1468-0289. ^ Birrell, Ian (2013-08-15). "Forget the nostalgia for British Rail – our trains are better than ever". The Guardian. ^ a b c "Privatization in Latin America: The rapid rise, recent fall, and continuing puzzle of a contentious economic policy" by John Nellis, Rachel Menezes, Sarah Lucas. Center for Global Development Policy Brief, Jan 2004, p. 1. ^ "The Distributive Impact of Privatization in Latin America: Evidence from Four Countries" by David McKenzie, Dilip Mookherjee, Gonzalo Castañeda and Jaime Saavedra. Brookings Institution Press, 2008, p. 162. ^ "Why is Sector Reform So Unpopular in Latin America?" by Mary Shirley. The Ronald Coase Institute Working Papers, 2004, p. 1. ^ Takahara, "All eyes on Japan Post" Faiola, Anthony (2005-10-15). "Japan Approves Postal Privatization". Washington Post. The Washington Post Company. p. A10. Retrieved 2007-02-09. ^ "Thatcher years in graphics". BBC News. 2005-11-18. ^ Amos, Deborah, "In Egypt, Revolution Moves Into The Factories", NPR, April 20, 2011. Retrieved 2011-04-20. ^ a b Dickinson, Laura A (2005). "Government For Hire: Privatizing Foreign Affairs and the Problem of Accountability Under International Law". William and Mary Law Review. 47: 104. ^ a b "Privatisation in Competitive Sectors: The Record to Date, World Bank Policy Research Working Paper No. 2860". John Nellis and Sunita Kikeri. June 2002. SSRN 636224. ^ a b "From State To Market: A Survey Of Empirical Studies On Privatisation" (PDF). William L. Megginson and Jeffry M. Netter. Journal of Economic Literature. June 2001. Archived from the original (PDF) on 2005-10-02. ^ a b "Privatising State-owned Enterprises" (PDF). 2010-02-22. p. 9. Archived from the original (PDF) on 2011-09-09. Retrieved 2011-07-11. ^ "Winners and Losers: Assessing the Distributional Impact of Privatisation, CGD Working Paper No 6" (PDF). Nancy Birdsall & John Nellis. Center for Global Development. March 9, 2006. Archived from the original (PDF) on 2005-06-23. Retrieved 2005-06-23. ^ Evenson, Robert E.; Megginson, William L. (2006). "Reviewed work: The Great Divestiture: Evaluating the Welfare Impact of the British Privatizations, 1979-1997, Massimo Florio". Journal of Economic Literature. 44 (1): 172–174. JSTOR 30032311. ^ "European rail study report". ^ Privatisation in Competitive Sectors: The Record to Date. Sunita Kikeri and John Nellis. World Bank Policy Research Working Paper 2860, June 2002. Privatisation and Corruption. David Martimort and Stéphane Straub. ^ "Death surge linked with mass privatisation". University of Oxford. 2009. Archived from the original on 2014-07-02. Retrieved 2015-06-28. ^ Privatisation 'raised death rate'. BBC, 15 January 2009. Retrieved 29 June 2014. ^ Earle, John S.; Gehlbach, Scott (2010-01-30). "Did mass privatisation really increase post-communist mortality?". The Lancet. 375 (9712): 372, author reply 372–4. doi:10.1016/S0140-6736(10)60159-6. PMID 20113819. ^ "Why is Sector Reform So Unpopular in Latin America?" by Mary Shirley. The Ronald Coase Institute Working Paper, 2004, p. 1. ^ Perappadan, Bindu shajan (August 17, 2013). "Private hospitals shun destitute children". The Hindu. Retrieved 21 August 2013. ^ Dagdeviren (2006). "Revisiting privatisation in the context of poverty alleviation". Journal of International Development. 18 (4): 469–88. doi:10.1002/jid.1244. ^ Race to the Bottom: How Outsourcing Public Services Rewards Corporations and Punishes the Middle Class Archived 2014-06-04 at the Library of Congress Web Archives. In the Public Interest, 3 June 2014. Retrieved 7 June 2014. ^ Hart, Oliver; Shleifer, Andrei; Vishny, Robert W. (1997). "The Proper Scope of Government: Theory and an Application to Prisons". The Quarterly Journal of Economics. 112 (4): 1127–1161. CiteSeerX 10.1.1.318.7133. doi:10.1162/003355300555448. ISSN 0033-5533. ^ Hoppe, Eva I.; Schmitz, Patrick W. (2010). "Public versus private ownership: Quantity contracts and the allocation of investment tasks". Journal of Public Economics. 94 (3–4): 258–68. doi:10.1016/j.jpubeco.2009.11.009. Alexander, Jason (2009). "Contracting Through the Lens of Classical Pragmatism: An Exploration of Local Government Contracting". Applied Research Project. Texas State University. Retrieved 31 October 2018. Dovalina, Jessica (2006). "Assessing the Ethical Issues Found in the Contracting Out Process". Applied Research Project. Texas State University. Retrieved 31 October 2018. Black, Bernard; et al. (2000). "Russian Privatization and Corporate Governance: What Went Wrong?". Stanford Law Review. 52 (6): 1731. doi:10.2307/1229501. JSTOR 1229501. Feghali, Khalil (2013). La privatisation au Liban : allocation des ressources et efficacité de la gestion. Paris: L'Harmattan. ISBN 978-2-343-00839-4. Hoppe, Eva I.; Schmitz, Patrick W. (2010). "Public versus private ownership: quantity contracts and the allocation of investment tasks". Journal of Public Economics. 94 (3–4): 258–268. doi:10.1016/j.jpubeco.2009.11.009. Kemp, Roger L. (2007). Privatization: The Provision of Public Services by the Private Sector. Jefferson City, North Carolina, USA and London, England, UK: McFarland & Co., Inc., Publishers. ISBN 978-0-7864-3250-9. Bel, Germà (2006). "The coining of 'privatisation´and Germany's National Socialist Party" (PDF). Journal of Economic Perspectives. 20 (3): 187–194. doi:10.1257/jep.20.3.187. D'Souza, Juliet; Megginson, William L. (August 1999). "The Financial and Operating Performance of Privatised Firms during the 1990s" (PDF). Journal of Finance. 1999. Retrieved 31 October 2018. Onses, Richard (2004). Benchmarking Privatization: the building of privatization index using fuzzy logic. Valladolid: International Conference on Modeling and Simulation. ISBN 978-84-688-7867-6. Onses, Richard (2004). The privatization leaders guide. e-privatization.com publication. ISBN 978-84-607-9613-8. Zullo, Roland. (2009). Does Fiscal Stress Induce Privatization? Correlates of Private and Intermunicipal Contracting, 1992–2002. Governance 22.3 (July): 459-481. Parker, David (1991). "Privatisation ten years on : a critical analysis of its rationale and results". Cranfield University, School of Management. Corruption in Myanmar is an extremely serious problem. Owing to failures in regulation and enforcement, corruption flourishes in every sector of government and business. 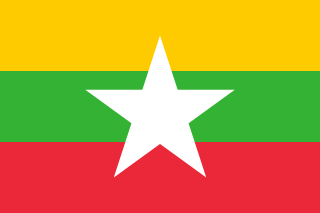 Many foreign businesspeople consider corruption “a serious barrier to investment and trade in Myanmar.” A U.N. survey in May 2014 concluded that corruption is the greatest hindrance for business in Myanmar. 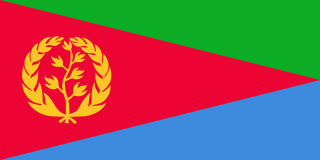 Corruption in Eritrea is a considered a deeply serious and growing problem. The level of corruption used to be considerably lower in Eritrea than in many other African countries. Indeed, it was traditionally viewed as having a “strong ‘anti-corruption’ culture” and considered relatively “egalitarian and corruption-free.” In 2006, a report by Bertelsmann Stiftung stated that corruption, as of that date, was not a serious problem within Eritrea. While noting that there had been “cases of corruption since independence,” they existed on a negligible level, although politically-motivated corruption allegations have been made. But, in fact, corruption is said to have been growing steadily worse ever since 1998, when, not long after the end of its decades-long war of independence, a border conflict with Ethiopia led to another war.